OWASP Sweden and FOSS-STHLM are doing a joint effort and we’re putting together Community Hack #2 on September 4-5 2010 here in Stockholm, Sweden. We are looking for sponsors and facilities to use for this event, please get in touch! The goal here is to gather a group of interested people. Everyone brings their own ideas of what to accomplish, communicate the intentions to the group and then work together during the weekend to try to reach the set goals. Suitable things, hacks, to work on during the weekend will of course be free and open code and not unlikely a fair amount of things will be security related. The event is two full days, with some kind of social thing happening on the Saturday evening and with final presentations on Sunday afternoon. Hopefully we can use each others’ competences and cross-feed between our different communities to get inputs, feedback and good spirit into the targeted projects. This event is number 2 since the OWAPS guys already had Community Hack #1 back in January 2010, but at that time FOSS-STHLM wasn’t involved. We gather all info about this event at foss-sthlm.haxx.se/mote3.html. OWASP Sweden once again arranged another interesting meeting, this time with three talks. First we got to hear HÃ¥vard Eidnes tell us about BGP and that protocol seems to suffer from its share of security problems with the protocol itself but perhaps even more with the actual implementations as one of the bigger recent BGP-related incidents that was spoken about was about how internal routes were leaked to the outside from Pakistan in Feb 2008 which made them block the entire world’s access to Youtube. This talk also gave us some insights on the “wild west” of international routing and the lack of control and proper knowledge about who’s allowed to route what to where. There then was a session by Rickard Bellgrim about DNSSEC and even though I’ve heard talks about this protocol in the past I couldn’t but to again feel that man they have a lot of terminology in that world that makes even a basic description fairly hard to keep up with in some parts of it all. And man do they have a lot of signing and keys and fingerprints and trusts going on… Of course DNSSEC is the answer to lots of existing problems with DNS and DNSSEC certainly opens up a range of new fun. The idea to somehow replace the need for ca-certs by storing keys in DNS is interesting, but even though technically working and sound I fear the browser vendors and the CAs of the SSL world won’t be very fast to turn the wheels to roll in that direction. DNSSEC certainly makes name resolving a lot more complicated, and I wonder if c-ares should ever get into that game… And BTW, DNSSEC of course doesn’t take away the fact that specific implementations may still be vulnerable to security flaws. The last talk of the evening was about SSL, or rather TLS, held by Fredrik Hesse. He gave us a pretty detailed insight into how the protocol works, and then a fairly detailed overview of the flaws discovered during the last year or so, primarily MD5 and rogue ca certs, the null-prefix cert names and the TLS renegotiation bug. I felt good about already knowing just about everything of what he told us. I can also boast with having corrected the speaker afterward at the pub where we were having our post-talk-beers as he was evidently very OpenSSL focused when he spoke about what SSL libraries can and cannot do. A great evening. And with good beers too. Thanks to the organizers! Fosdem 6-7 Feb in Brussels Belgium: I’m going and I’m doing a Rockbox talk. foss-sthlm 24 Feb in Stockholm Sweden: I’m arranging and I’m doing a curl talk. This isn’t really a “conference” but I wanted to mention it anyway! IETF 77 in Anaheim USA, March 21-26: While it would’ve been a blast to go there, it really doesn’t sync very well with my work schedule and other lifely matters so I’ll pass this one! Sorry all friends whom I otherwise would’ve met there! OWASP AppSec Research in Stockholm Sweden, June 21-24: since it is in Stockholm and these guys tend to have interesting stuff I just may go. It depends a little on how the program will end up and if I manage to cough up a talk for it. IETF 78 in Maastricht Netherlands July 25-30: I want to go there and I think the timing is much better for this IETF meeting than the previous few ones. With a little luck we’ll get both the HTTPBIS and the HTTPSTATE groups to have meetings here, and who knows what other fun there will be?! Slackathon 2010 in August in Stockholm Sweden? It’s not decided yet but I hope they will go for it and I will try to attend. Slackathon reminders. 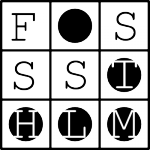 FSCONS in Gothenburg Sweden Oct/Nov: Since this is our current major open source conference in Sweden I really want to go and I hope to be able to do a talk too. I don’t think the date is set yet, which is a bit unfortunate since November this year is a bit special to me so there will be some other events going on at that time that risk conflicting with FSCONS.